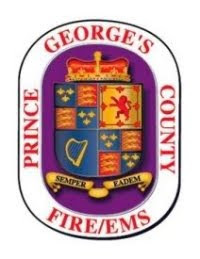 The actions of two firefighters on the scene of a Capitol Heights house fire have been under review since an incident occurred on December 29, 2018. The review centered on a radio transmission made by one of the firefighters concerning water supply. The review has determined that miscommunications on 2-way radios used by firefighters played a role in an inappropriate radio transmission by one of the pump operators. The pump operator from the first arriving District Heights engine called to the second arriving engine from Kentland to charge the supply line (send water from an engine connected to a fire hydrant through large hose line to another engine in order to provide water to firefighters using attack line (hose with a nozzle used to extinguish the fire). The Kentland pump operator mis-heard the radio transmission and thought what he heard was his crew asking for their back-up attack line to be charged (filled with water) when in fact it was the District Heights pump operator making the request for his supply line to be charged. As a result, the Kentland back-up attack line was pre-maturely charged without the line being in place yet and still being advanced up to the house. It was at this point, seeing an attack line being charged before the supply line being charged, the District Heights pump operator made a radio transmission referencing using a hose clamp (a device placed a hose line to close it off to stop the flow of water until a pump operator is ready to receive the water or to close a broken hose line). The review determined that while a hose clamp was placed over the Kentland back-up attack line, it was never engaged and never restricted the flow of water in the line. The review also determined at no time were firefighters inside the house battling the fire in any danger from any of the actions of the two pump operators. At no time was there any physical altercation between the two pump operators. Immediate actions were taken that night removing both the District Heights and Kentland pump operators from emergency operations until the Department had an opportunity to review the incident. This action was not a “suspension”. This action limits the firefighter’s role to administrative functions. As a result of the internal review both firefighters have been returned to full duty status. The review found that the actions that night did not warrant keeping the firefighters from their assigned duties, however, the matter is not yet closed and may lead to administrative discipline and required training. The firefighter that made the inappropriate radio transmission, while currently returned to full duty, may go through the Department’s disciplinary review process. If a violation of any Departmental procedure or Code of Conduct occurred, and if appropriate, additional disciplinary action could be taken.